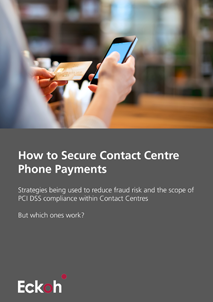 If your organisation takes payments through your contact centre, you will be aware of the challenges associated with securing the telephone payment channel. So far, articles written on the GDPR topic have tended to fall into two categories - information delivery, and scare tactics. 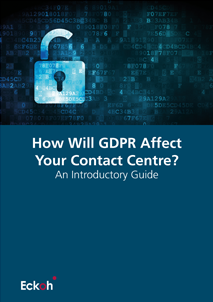 In addition, little has been written to address how contact centres and related companies can set policy and future direction for data use and storage. Does your businesses accept payments made over the telephone? Is it your responsibility to address all businesses processes to process card payments securely and in line with PCI DSS requirements? 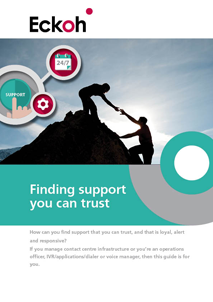 Explore our guide for hints and tips to meet your PCI audit - with less of the headaches and sleepless nights. 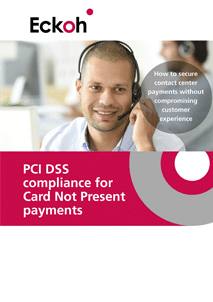 With 66% of UK contact centres taking card details over the phone via an agent, PCI DSS Compliance is crucial to prevent data fraud. 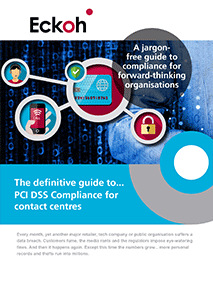 Eckoh and ContactBabel have teamed up to provide a best practice guide for PCI DSS compliance in contact centres. 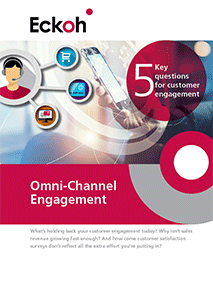 We all recognise that customer engagement is the current and future battle field. It’s where brands will compete for customers’ time, spend and good reviews to propel them towards their financial goals and performance targets. 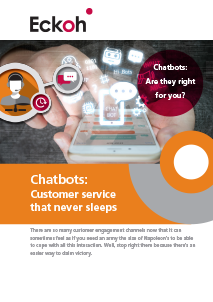 As a result, we've put together a new eBook to explain how a Chatbot could help you. 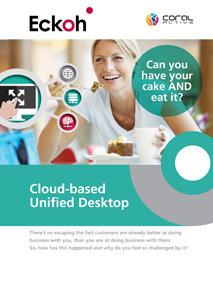 Sooner or later, you’ll face the daunting decision about how and when to upgrade your call centre technology.